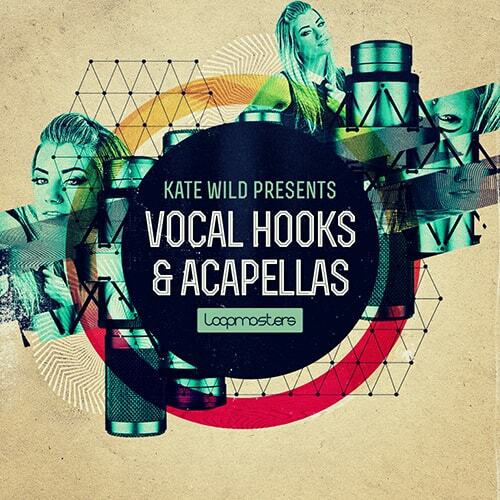 Loopmasters present Kate Wild Hooks and Acapellas Volume 3 – another stunning collection of vocals from this versatile and established industry professional. 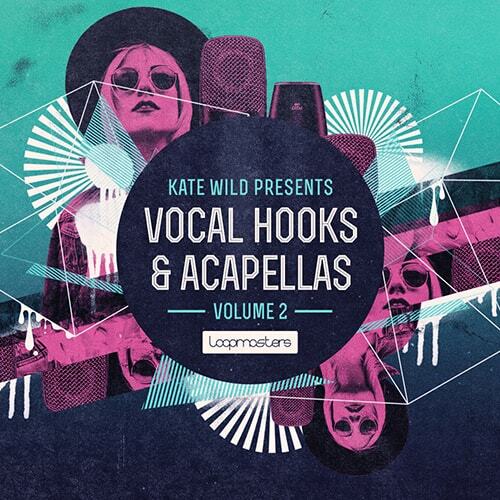 With Lead Vocals, lush Harmonies, warm Adlibs and a selection of solid Backing Vocals, Kate Wild 3 is available now for your productions and 100% royalty free! "Since graduating from BIMM Brighton with a 1st Class Degree in Professional Vocals and Musicianship, Kate Wild has made herself known for her distinctly striking power pop vocals and engaging onstage performances. Now a highly sought after session and lead vocalist, she is also a backing vocalist, producer, top-line writer and label owner. Kate has been singing her whole life, studying music production since the age of 16. 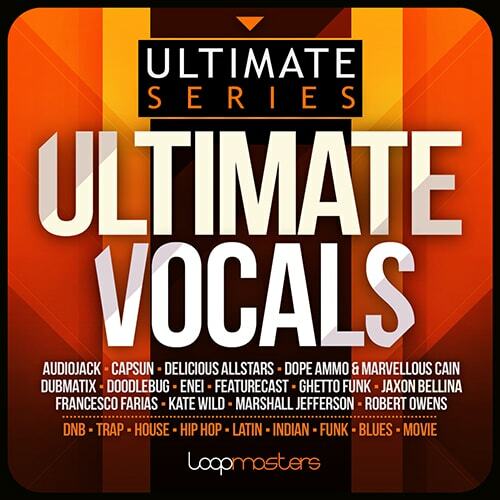 She has written, recorded, produced and performed on three highly acclaimed vocal sample packs for Loopmasters. And her voice and top-lines can be heard on a number of renowned sample brands such as Native Instruments, AKAI’s MPC, Splice and CAPSUN ProAudio. Most recently, Kate’s vocal features on the accompanying track for internet sensation People Are Awesome''s viral stunts video, racking up over 107million views on Facebook and 4 Million on Youtube. Kate’s recognisable vocals have been used by many DJ’s and producers on notable collaborations and releases, including Radio 1’s Danny Howard and Deep House duo Blonde. Her collaborations have seen releases on labels such as Monstercat, Spinnin’ Records, RAM Records, Subterra Records and Position Music. ​Kate has supported artists on backing vocals such as James Bay, Tom Odell, Beverley Knight, as well as recorded sessions for Mike Stock (Kylie Minogue), Damon Metrebian (Pink Floyd) and various artists at Xenomania. Live vocal performances have included The Palm in Dubai, Manchester United Football Club, Mercedes Benz World, Great Ormand Street Hospital, Hilton Hotel, London Metropolis Studios, The Grand in Brighton, Grosvenor Casino along with some of the biggest venues across London and the UK." Following on from the immensely successful Volume 1 and Volume 2, Kate Wild is back once more for a vocal tour de force to enrich your sample collection and bring the ever-needed human element into the mix. Each track is delivered in a specified musical key, and have been created at tempos between 97-125BPM these vocals are perfect for House, Hip Hop, EDM, Downtempo and Breaks. In addition to the full songs we have provided 35 One Shots and Phrases to use in your tracks however you see fit – pitch them up and slip into the mix. 135 Rex2 Loops are included and pre-sliced for your pleasure, as well as 7 Sampler Patches ready to inspire further sonic adventures. In detail expect to find 466MB of content with 170 individual 24 Bit Wav files. The pack includes 35 One Shot & Phrases, as well as 135 track stems with 54 Lead vocals, 35 Backing Vocals, 34 Harmonies and 12 Adlibs. 135 Rex2 Loops are included as well as 7 sampler patches for NNXT, Halion, Sfz, Kontakt and Exs24.